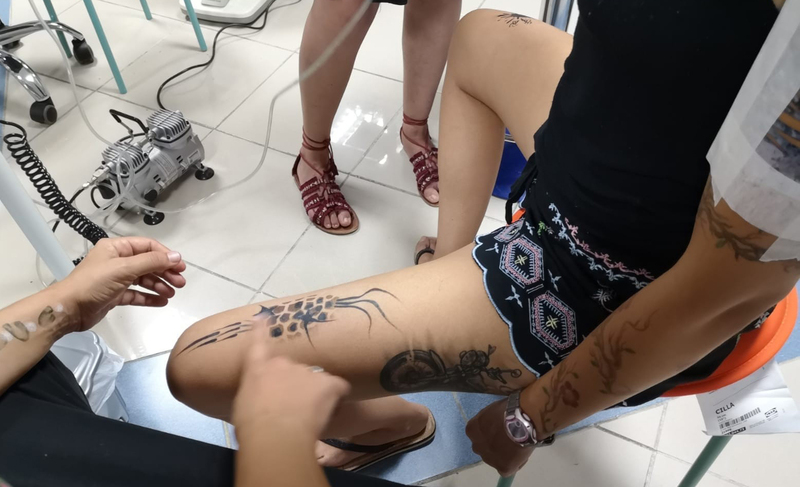 During the 3rd Bodypainting Festival on Tenerife, Maike Karrer also offered an Airbrush Tattoo Workshop on the island. As in the first two years of the festival, this year again great professionals were invited to share their knowledge with newcomers and inquisitive advanced students. Shopping centres, bathing resorts etc. Ideal for airbrush artists and artists who wanted to expand and offer their knowledge. Erasmo Daaz of Senjo Color Spain guided the artists through the world of fake tattoos with Senjo Color INKS and stencils.